Through an insufficiently isolated roof, up to 30 percent of the heat from the inside of the building is lost. Therefore, optimal roof insulation offers great potential for energy savings. 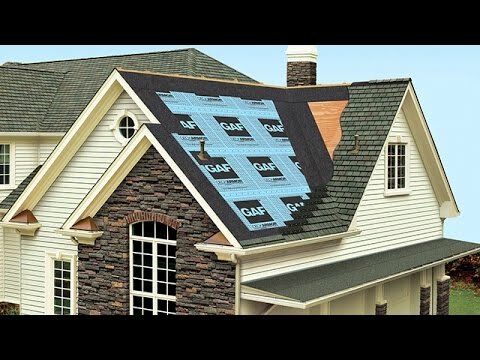 Roof insulation can be placed inside or outside. The outside is installed during the renovation of the already existing attic or during the renovation of the roof covering. In other cases, it is best to place the insulation inside, ie between and below the roof beams. The insulation thickness of 8.5 to 10 inches between the roof beams and 4 inches thick under the roof beams is a premium solution for roof repair. This isolation solution, even in the reconstruction, meets the standards of a passive house. If roof beams are not high enough it is necessary to pre-duplicate them. The comfort solution for insulation of the roof exceeds the current requirements. The recommended thickness of the insulation layer is 6 to 7 inches between. The roof beams and 2 to 4 inches below the roof beams. If roof beams are not high enough it is necessary to pre-duplicate them. The standard solution meets the fast and simply planned energy-saving level. The thickness of the insulation layer between the roof beams is 5 to 5 inches cm and 2 inches below the roof beams. If the existing roof beams are not high enough to incorporate the recommended thickness of the insulation, they need to be duplicated. Additional roof rails need to be fastened with screws on the inside of existing roof rails. Measure the clear width between the roof beams: measure the insulation plate for installation between the roof beams and cut off the necessary insulation part of the roll. Setting: The insulation layer is easily clamped between the roof beams, the used spaces of the transverse beam and the cavities. Place the strip for stopping steam that prevents diffusion. After placing the substructure in the free space, the insulating roll is installed under the roof beams.